Not so great with out some language ability, but some staff very helpful when they are there. I totally love this homestay! Everything are awesome..the room, the facilities, the staff are tip-top! The down part is the breakfast which is not that great but ok (anyway, love the tea though). Love the decoration & the homestay have a great ambience..suitable for couple or family to enjoy & relax especially after a long day. On our 2nd day the staff made a beautiful swan decoration on our bed which surprised us & it's totally lift up our happy-plus-romantic-vacation mood & spirit! Thank you Griya Yunika Boutique Homestay! We really loved our stay at your place & totally will come back if we are going to Yogyakarta again. First thing first, study your map well. We picked this thinking everything worth looking at are walkable to (Taman Sari, Kraton, Malioboro etc). Well, they're not, so I'd suggest if you're staying here, download a Grab or Go Car app (cheaper than using becak or taxi) but again, make sure the map is correct as the app failed to detect us accurately. The homestay is old (we had torn blanket and old furniture) but not crowded (we mostly had it to ourselves) and we took our time with the personalised breakfast (made individually based on a pre-prepared menu that you can pick from), swimming pool (gorgeous) and watching the birds (few kept in single cages in the garden). Dining wasn't too hard as there are few warung or stalls on the main road. The people are nice and helpful so that's a plus. quaint and serene place to stay after a hectic day visiting places. the decor is beautiful and the breakfast is what the locals eat and delicious. 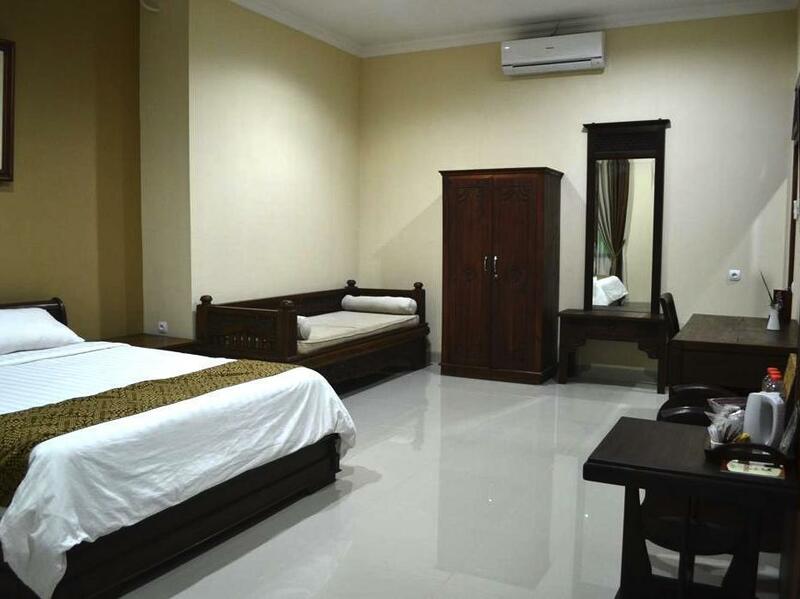 walking distance to malioboro street. love the place. Our stay was comfortable and staff were very obliging to our requests. Expeditious with organising travel for us either via taxi or private driver. English reading newspaper wud b good. Our bed, in our room wasn't the best, cud address this. Breakfast was lovely, simple but, satisfying. Cleaniness along walkways, sitting area shud be attended to regularly. Wud stay again. The hotel is well located, breakfast is excellent and the stafff kindness is incredible. Our stay in Griya Yunika was very delightful. The staff is extremely kind, they provided informations about the city, and stayed ready and available to help us at any time. 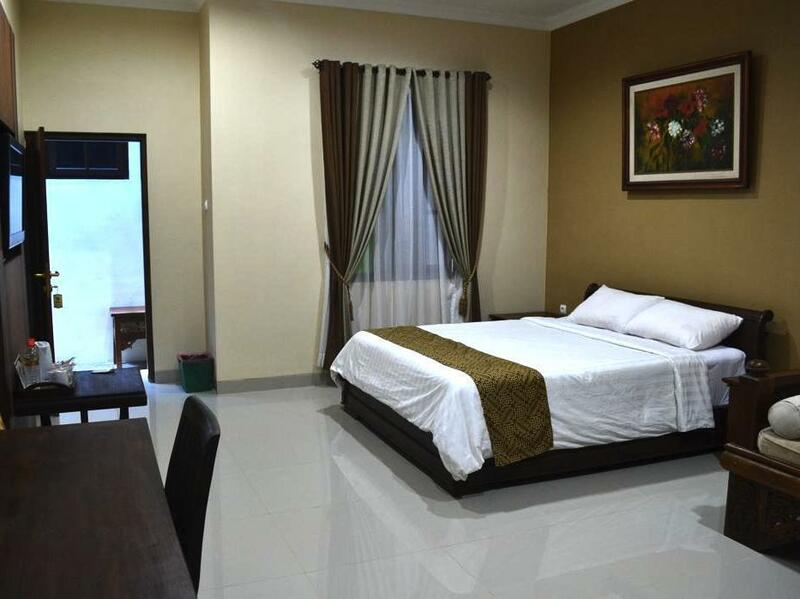 The room was clean, we did not have time to enjoy the pool, but without any doubt we'll book there again if we come back to Jogja. Very nice stay. Bella the receptionist was so sweet and made my stay perfect. Near by attractions. Very quite at night. When I upgraded for a night to the larger deluxe room next to pool...beware! The bed is like a rock and I had no sink in the bathroom...instead had to use sink out by the swimming pool to shave, etc., the next night went into the smaller room and comfortable bed but very small room. The owners have pet pigeons and they tend to be very noisy very early in the morning and of course you are in a village so you have the Muslim prayer sounding off at night and in the middle of the morning around 3am. In the morning the staff were preparing for breakfast to be served and you could hear all the clanging and it was a noisy disruption from my sleep waking me up at 6am. Other than that I would say it is a quaint hotel but for what you pay...I would choose another hotel that is quieter and better located. 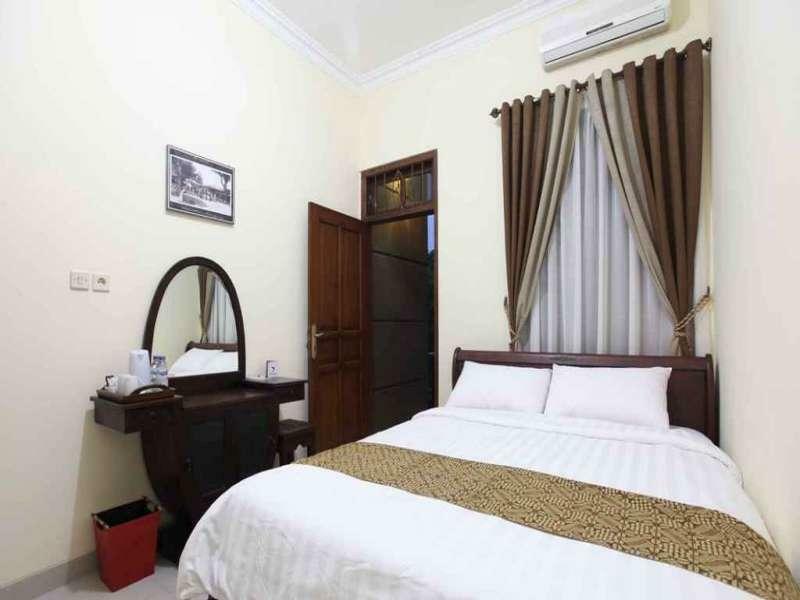 Saya salah pilih kamar ... tapi oleh karyawan hotel..kami diberi jalan keluar...win win solution. Pulangnya ..karena terburu2 saya lupa menanyakan KTP yg sempat diminta saat cek in. Waduh berkali2 saya coba nilpun untuk memastikan keberadaan KTP saya.... dari jam 6.30 - 11.00.... ternyata setelah saudara kami yg masih di Yogya ke hotel untuk ngambil KTP saya diberitahu jika KTP saya sdh saya ambil ... (di-cek di CCTV). Saya pun segera ngecek dompet saya... duuh ternyata KTP sdh di dompet saya . Du..h. maafkan daku yg sudah masuk usia manula ini ya mbak ... ya mas. sdh merepotkan kalian.